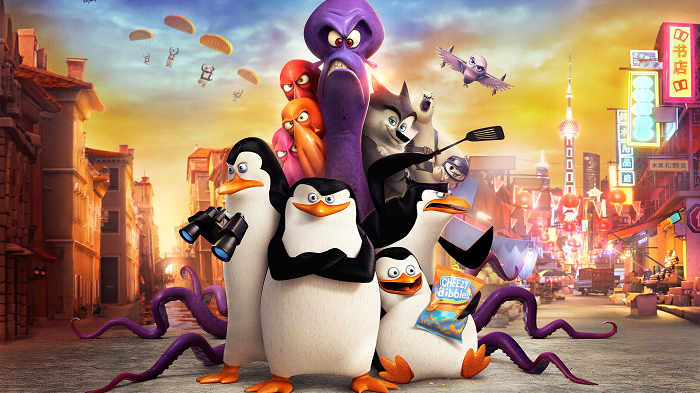 A journey that began watching cartoons and laying videogames led way to some interesting characters from popular animated features like Penguins of Madagascar, How To Train your Dragon: The Hidden World and many others. After working as freelancer at Revolution Software for the Broken Sword: Shadow of the Templars director´s cut videogame, animator Ravi Kamble moved to Manchester to work at RedVision as a junior animator. While being at Redstar he learned a lot about aspects of 3D production beyond just animating, but felt the need to make a jump into feature animation and improve his skills as an animator, and enrolled in online school, iAnimate. Kamble has worked on his first feature film project at Oscar nominated studio Kandor Graphics for Justin and the Knights of Valour. Kamble also managed to get an opportunity to work in DreamWorks dedicated unit in Bengaluru for the feature Penguins of Madagascar, where he got to grow as a feature animator and character developer. He carried his supervising and mentoring experience to help build the animation team at Oriental DreamWorks in Shanghai, now called Pearl studio. “I decided to pursue some freelance projects working remotely from Spain, along with a small gig at MPC in London for three months, where I developed the villain of the upcoming Pokemon: Detective Pikachu and experienced the VFX industry for a short while,” added he. Kamble got all the more luckier around his few last months in London, with an offer from DreamWorks in LA to join the team on How To Train your Dragon: The Hidden World. We would like to know about your experience with working on villainous characters? I love villain characters and am tend to be more attached to a story with a memorable great villain. Villains that have major flaws are the best for me, because they are grounded and have a strong reason to be the opposing force, and their threat and menace can become believable since you actually will empathise with his or her pitfalls. This in animation can translate to ample range of motion or expression, and not necessarily always big and daunting but also even intellectual or funny. When I first was working on Dave the octopus, he was written as a more sinister character, but as we were starting production in his scenes, we found the tone of his personality was transitioning to a far more comedic personality, and we tried to find a balance by playing against John Malkovich´s more serious voice with a visually more entertaining, broad and exaggerated performance for the character. Working on the villain Meowtwo in Pokemon: Detective Pikachu prooved to be challenging as well, because his communication and powers were all telepathic: this meant no talking with the face, and the least effort in locomotion as possible. How different is it from creating other characters? Villains to me are the most interesting types of characters, because their motivations tend to come in various ways, as opposed to heroes and protagonists. As they tend to have lesser screen-time, they come out to be a bit more secretive or mysterious, and there can be opportunities to be inventive with their appearance and mannerisms, and contribute to their unique presence in the story. 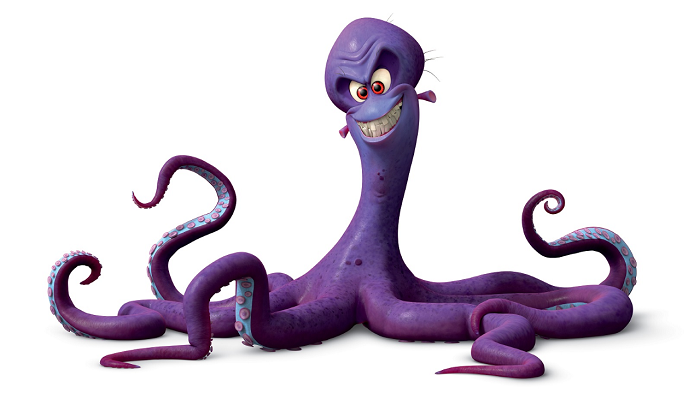 How has it been working on animated hits like Penguins of Madagascar for the character development of Dave the octopus? I had a lot of homework to do, because feature animation was a whole different ball game compared to my limited experience in commercials and small projects back when I was in Europe. There is always a big driving force with these projects, which is the reaction of audiences at the theatre: no materialistic reward can be more fulfilling than watching people laugh or cry when your work shows on the big screen! We did a fair amount of research on real life octopus footage, studying locomotion on tentacles and behaviours in land and underwater, but we had to go beyond reality and borrow a lot from old classic cartoons to keep things within the Madagascar Universe and favour light hearted entertainment. To my surprise, my work got on this movie got me nominated for an Annie Award for Best individual achievement in character animation back in 2014, a recognition I am deeply honoured to have achieved but that I can credit to the entire team as well. Kamble feels that every animator should be exposed to character development. He finds it very fulfilling to craft a character from the ground. How has working in different countries for various projects influenced your culturally? It’s an honour to have been able to travel so much for the sake of my job, and see various cultures and identifying the common universal qualities that unites us, which makes one even more confident in art. How challenging was it facing the work transition from slapstick animation of ‘Penguins of Madagascar’ to semi-realistic projects like ‘How to train you dragon 3’? It was very challenging, which is what I love about animation: every project, every character, and every scene always feels new. Going back to the drawing board and doing the required research and learning is part of our job. As opposed to the Madagascar Universe, where UPA cartoons and Chuck Jones and classical 2D animation was the main source of study and inspiration for the visual style, How to train you dragon 3 is heavily grounded in reality and needs a proper grasp of physicality and truthful, grounded performance. In a project like Penguins of Madagascar, entertainment was a key factor, but in How to train you dragon 3, a thorough study and portrayal of locomotion and physics is essential. 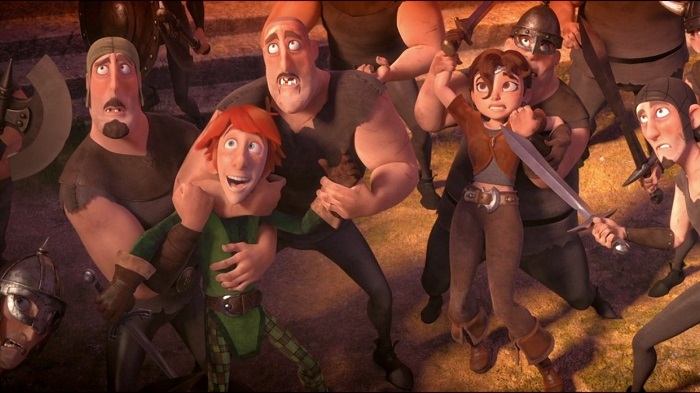 How was your experience while working on How to train you dragon 3? Working on How to train you dragon 3 was a great learning experience. The level of detail it required on its execution was the highest benchmark. I had to really be as scientific as possible on my observation, and constantly learn from my peers. Another big aspect on working on this franchise is that you´re required to animate dragons, which are fantastical creatures that don´t exist in our world, but we´re required to make them very believable. 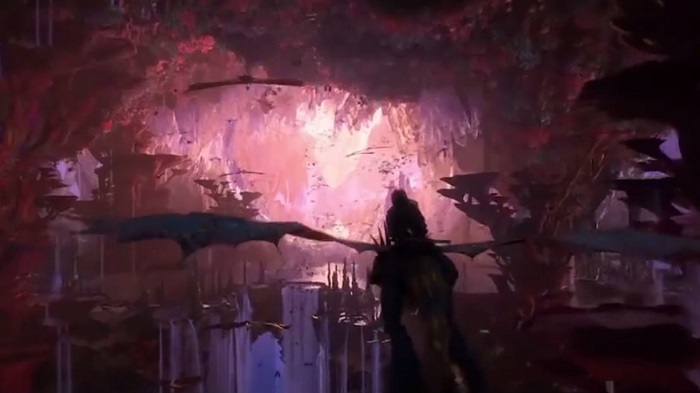 I began the production animating some shots in the Hidden world, when Hiccup and Astrid are riding on Stormfly passing by the glowing little dragon worms, and right afterwards had the privilege to be trusted to animate some scenes with the four winged dragon Cloudjumper, including a heavy action scene in the battleship. I also had a chance to animate some shots with the villain of the movie Grimmel and his Deathgrippers, which was very fulfilling. What it entails to be a supervising animator? What responsibilities did you have to face when embracing such role during your time in China? Depending on what studio you work, the title and responsibilities vary. As a supervising animator at DreamWorks, generally you´re in charge of leading one or various main characters, as well as supervising sequences of shots. This is a role I was already embracing as a character lead in India during my work on Penguins of Madagascar. But during my tenure in China at Oriental DreamWorks, we literally were building a studio from scratch, and my responsibilities grew further. I had a lot of exposure to studio building responsibilities, training a team of 30 animators along with other supervisors, and take over animation and tool development tasks working alongside other departments such as rigging, character effects and R&D. We literally were shaping up a high quality feature pipeline from the ground up and we had challenges in every department. Considering the growing popularity of the animation sector, many students wish to pursue it as a career. What tips would you give for the aspiring animators? I love to see people’s interest in animation, and obviously I never want to spoil their spirit in any way, but I always tend to give the same warning to make sure they know what they´re getting into: you need to be passionate, patient and humble in order to grow in life generally, and it applies to animation even more so, because is a very time consuming craft and it takes years to get good at it. I think the demands and the markets all over the world are opening many doors in the industry internationally, and so many different formats and technologies are being developed, that artists with high quality skill-sets are in high demand to make such content. Kamble thinks of someday contributing to the Indian animation industry in a bigger scale with whatever is potentially capable of. “Probably it needs to happen at the right time with the right people, and with a story that everyone can believe in worth telling, not just in India but in the rest of the world as well,” he concluded. Kamble is currently busy wrapping up on the feature film Abominable, formerly called Everest, directed by Jill Culton and Todd Wilderman, to be released in September 2019.